The stunning Panton Fun Pendant Lamp features a cascade of hand cut mother-of-pearl discs that reflect light to give off a warm illumination. The shells gently blow in the breeze, almost like wind chimes, creating shimmering movement even when switched off. The discs are suspended by smaller metal rings and held in place by an iron plated frame. Designed to hang low, the Fun Pendant Lamp can be used on its own or as a series of three or more. Multiple Fun Pendant Lamps look particularly impressive over a coffee table, dining table or kitchen counter. The lamp is part of Panton’s Fun collection, which also includes the , and . 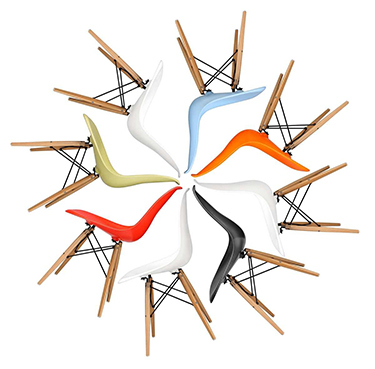 Verner Panton’s father was a fisherman and he always felt an affinity with the sea. With his Fun Pendant Lamp, Panton was able to physically connect his design world with the oceanic life of his father. The pendant is part of a series called ‘Fun Lamps’, which began in 1964 with a prototype made from foil. This later changed to metal, before Panton brought in his favoured choice of material – mother-of-pearl shells. The ‘Fun’ element of the design is due to the dynamic nature of the lamp. Even when switched off, it is moving and shimmering, much like the ocean itself.